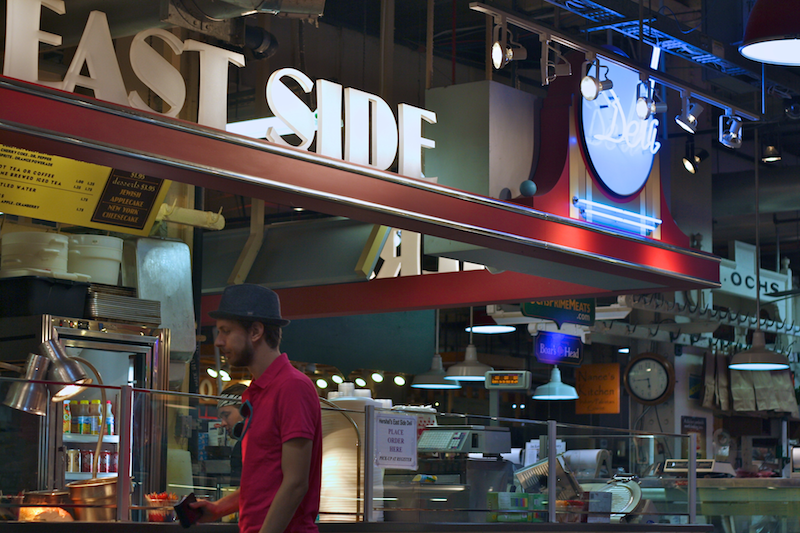 Our introduction to Jewish-American food came in the form of a knish from Hershel's East Side Deli at the Reading Terminal Market. We cautiously ordered one (unsure of the pronunciation at the time) and quickly devoured it. 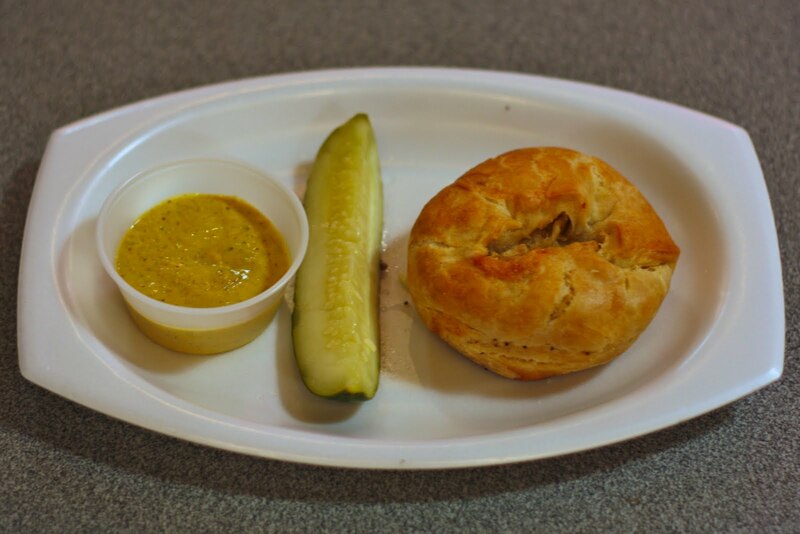 Potato filling baked into a pastry: simple yet satisfying, and aptly accompanied by mustard. On our way out, we ordered a second one and threw it in our bag to enjoy during our sightseeing in Philadelphia. mmm! Sounds very tasty! I remember the first Jewish meal I had cooked by a friends mother involving rabbit...tasty though!